As we make our way through the beginning months of the new year, the annual design trends are beginning to come into focus. 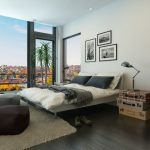 The bedroom design trends for 2018, more specifically, are growing increasingly more interesting. 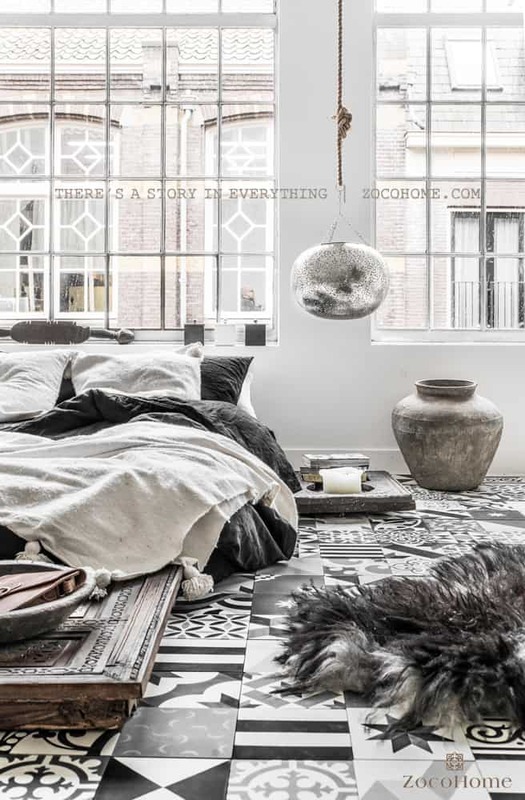 From unique lighting fixtures to tropical or romantic decor, these trends are sure to take your bedroom to the next level. 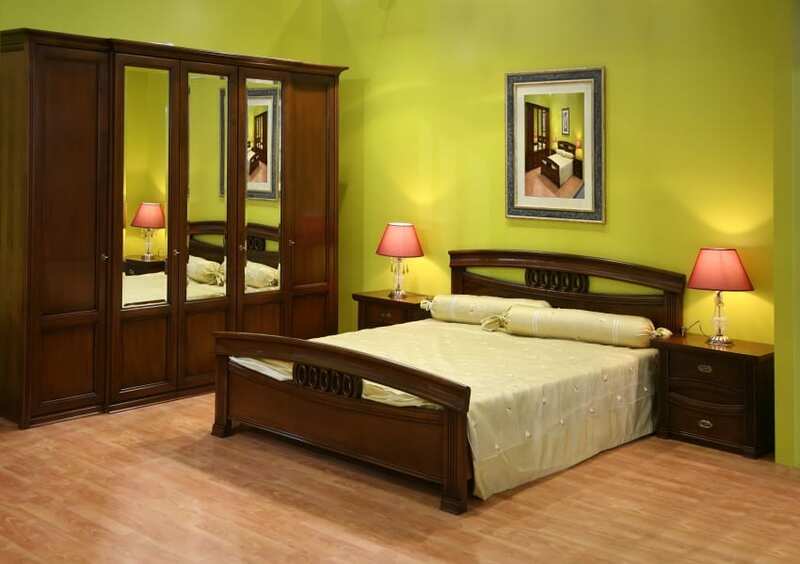 After all, the bedroom is, undeniably, one of the most important spaces in any home. It is the place where we relax and recharge at the end of each day. Having a good bedroom design is an essential component of a healthy lifestyle, as the design of your resting space has the power to alter your stress and energy levels in a negative way, or a positive way. 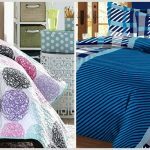 These trends focus largely on keeping your bedroom design fresh and clean, but with a bit of adventurous spark. 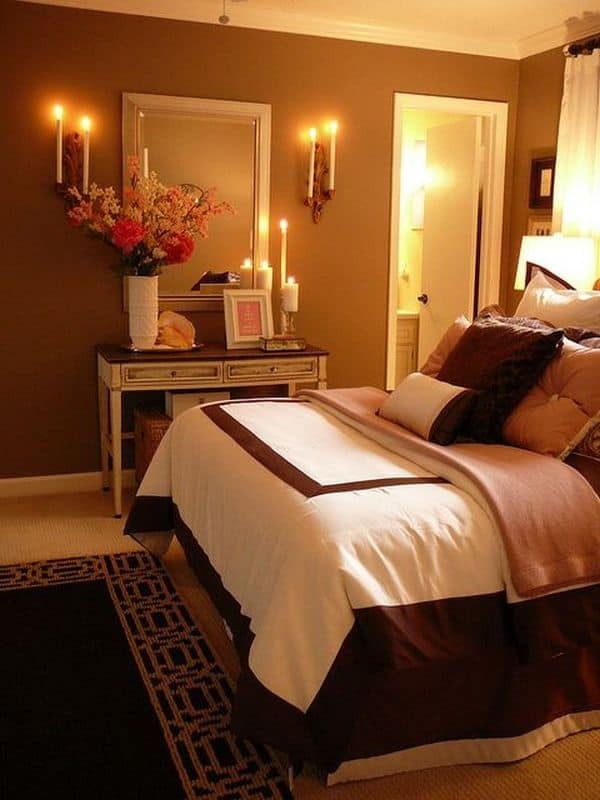 Read on to learn more about these trendy tips how to apply them to your bedroom! 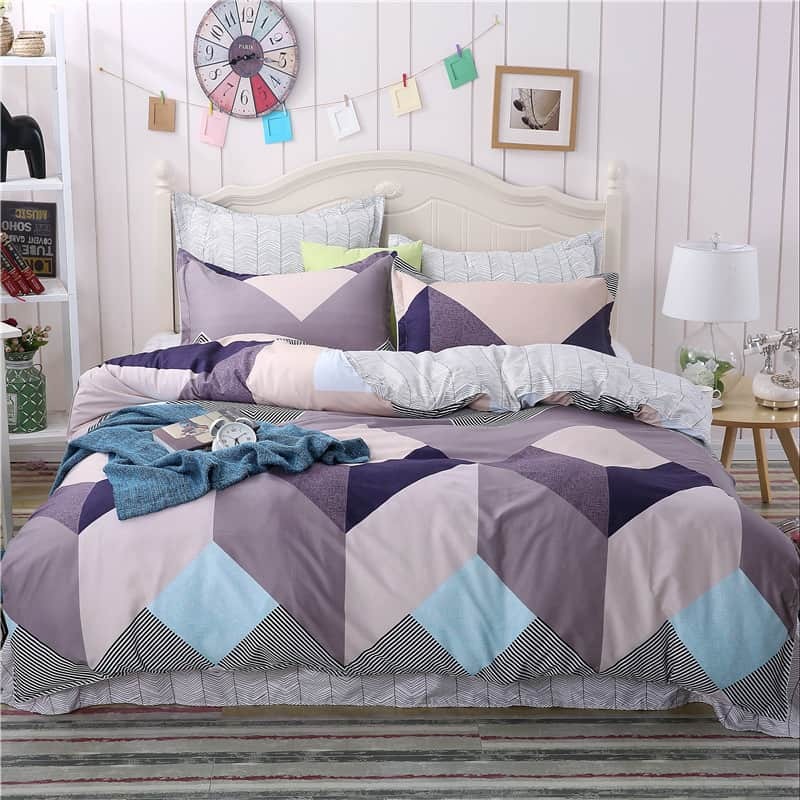 The lush color of nature is back on the front page of bedroom colors in 2018. Bringing the outdoors in is a wonderful way to make virtually any space trendy and fresh. Also, nature is one of the best therapeutic additions you can implement, as it has a calming and focused effect on interiors in general. Indoor plants are also a great way to naturally filter the air. Considering many people spend an average of six to ten hours per day in their bedroom, having pure, clean air while you sleep, and while your body heals, is very important. To take this to the next level, use greens in a tropical style, which is also on the rise in 2018. This year designers suggest saying goodbye to that boring lamp on your nightstand, and upgrading to something much more interesting. 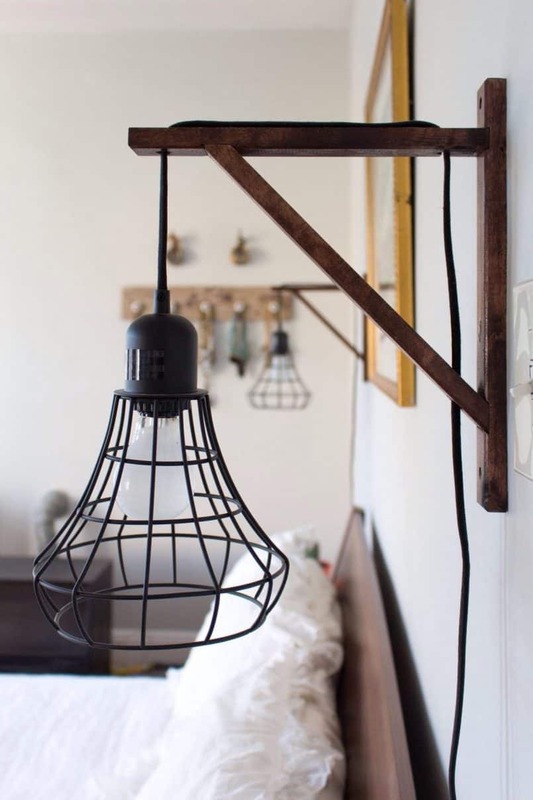 Bring your bedroom up to speed by adding some pendant lights, or abstract lighting of some kind. The more bizarre, the better! Also, changing the lighting in a space is one of the most impactful changes you can make without spending a ridiculous amount of money. 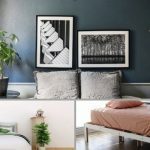 So, if you’re looking for an inexpensive way to make your bedroom more unique and trendy, this could be the perfect way for you to do so. Otherwise known as retro-mod decor, Mid-Century modern design is also a continually popular trend this year, as it has been for quite some time. 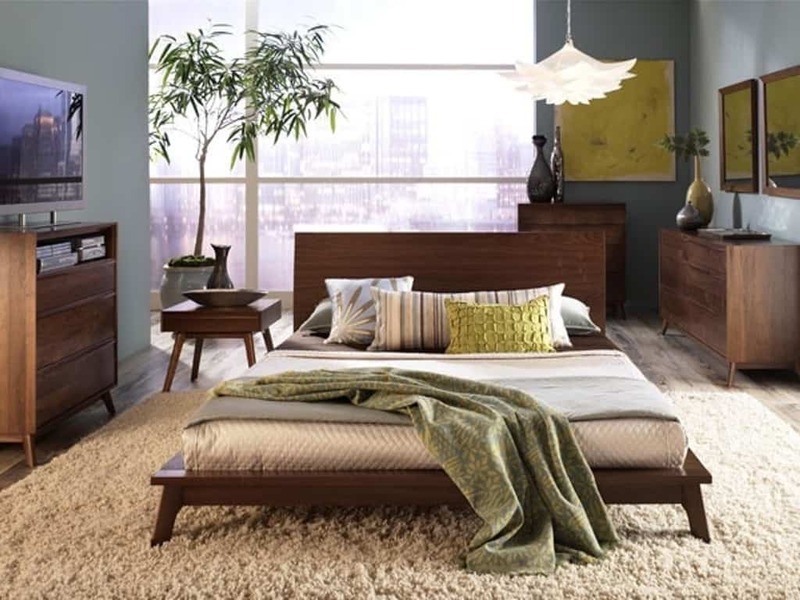 Using curved lines, jewel tones, and wooden decor or furnishings will transport your bedroom into both the 1970’s, as well as the future. Combine with low-setting furniture, interesting artwork, or pops of color to bring this trend to the next level. Also keep in mind, this style of design can be upbeat or calming depending on how it is implemented. However, if done right, this kind of decor will always give the space a fresh and unique vibe. Using warm colors, like scarlet, ruby, raspberry, and caramel is a fantastic way to set the mood in your place of rest and romance. These warm reds, pinks, and neutrals are said by designers to encourage feelings of warmth, comfort, and sensuality. Incorporate these colors in your bedroom textiles, artwork, or even wallcoverings to bring the spark back to your space. Combine with the use of velvet to add an even more romantic energy to your bedroom. 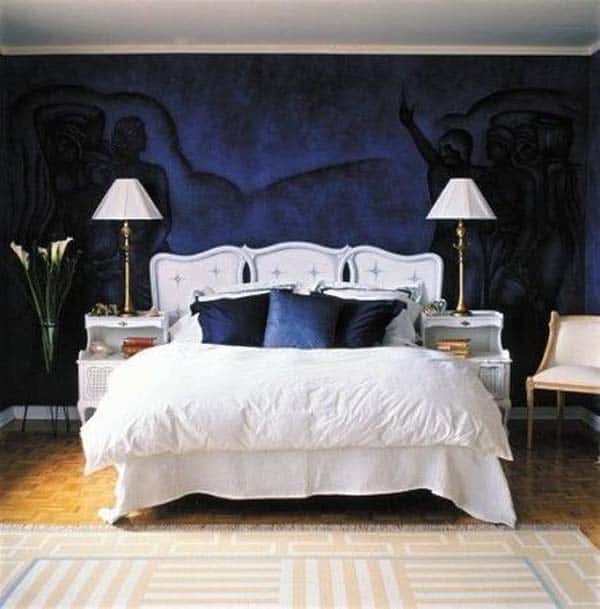 In the process of competing against classical black, navy blue is on the rise for bedroom designs. Replacing decor that is normally black with navy decor instead is one of the most subtle, but bold, design trends so far in 2018. You can even paint items navy, like picture frames, wood/plastic chairs, or certain lighting fixtures. Again, the more bizarre the better this year. Textures, patterns, and colors are a great way to accomplish this. Mix things you normally wouldn’t think to mix together. 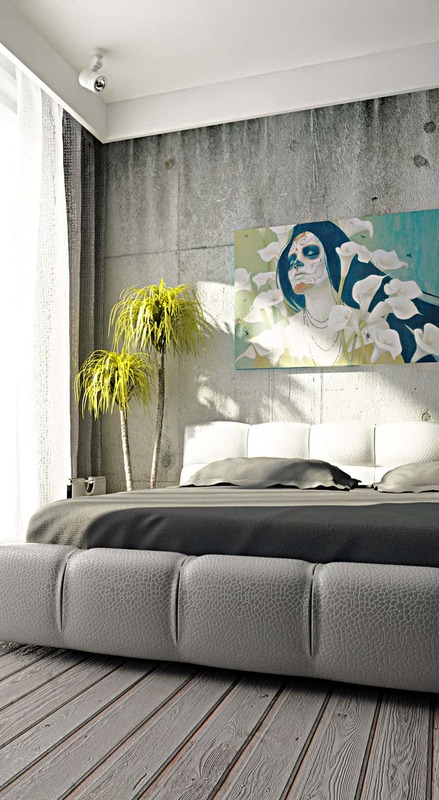 Artwork is another fantastic way to add a surrealist feel to your bedroom. For example, artists like Vladimir Kush paint vastly surreal artwork that will capture your attention, and your heart, without question. Even sculptural artwork can have this effect as well. 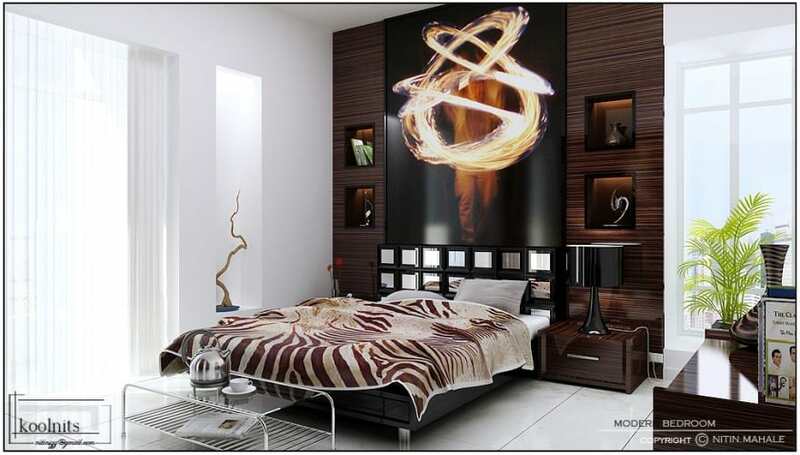 The more interesting contrast you apply to your bedroom design, the more surreal the space will feel. Only you can decide what is “too weird”. Whether you attribute the appeal of this to the human subconscious attraction to geometric forms, or simply visual pleasure, geometric decor remains at the top rung of design trends this year. 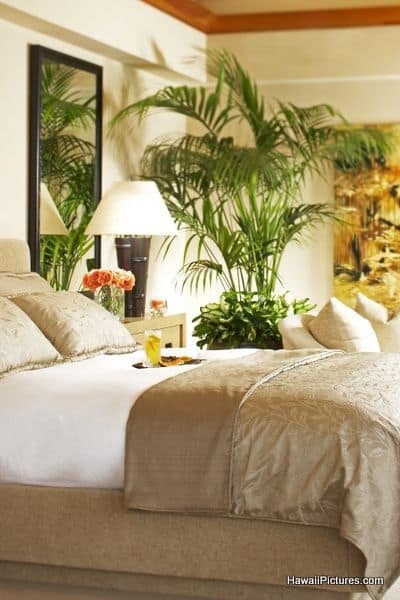 Used in the bedroom, it can create clean calming lines, or a bold statement depending on your tastes. There are many possibilities within this trend, so if you’re looking to implement new decor with a lot of room for artistic freedom, this could certainly be the trend for you. Continuing the theme of unique and interesting decor, this trend is encouraging of odd bedside tables. 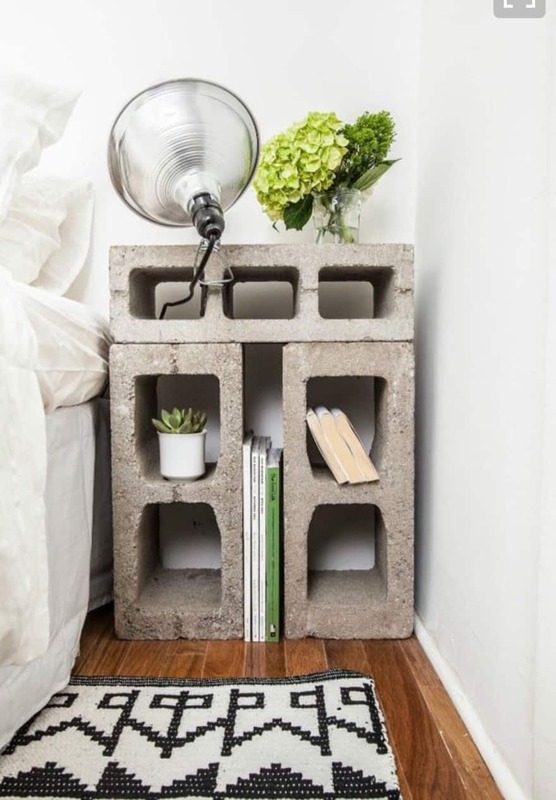 Perhaps mismatch two tables to create an interesting look, or make your bedside tables out of recycled or reused materials. Metal nightstands are also on the rise, and fit into this trend as well. 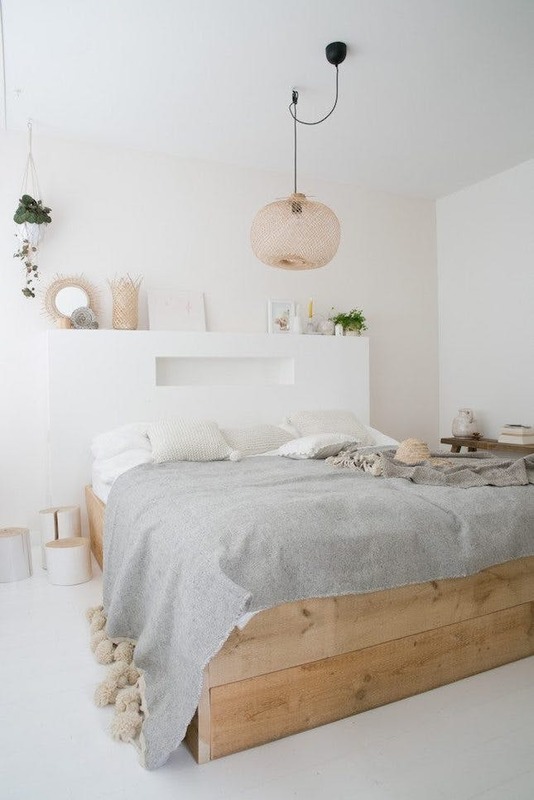 These classic bed platforms are returning to the trendy scene in bedroom design this year. They have a classic appeal, but can be implemented into almost any style of decor depending on the style of the four-post bed itself. This trend also gives a space a more romantic ambiance. If combined with draped fabric or a bed canopy, this is especially true. 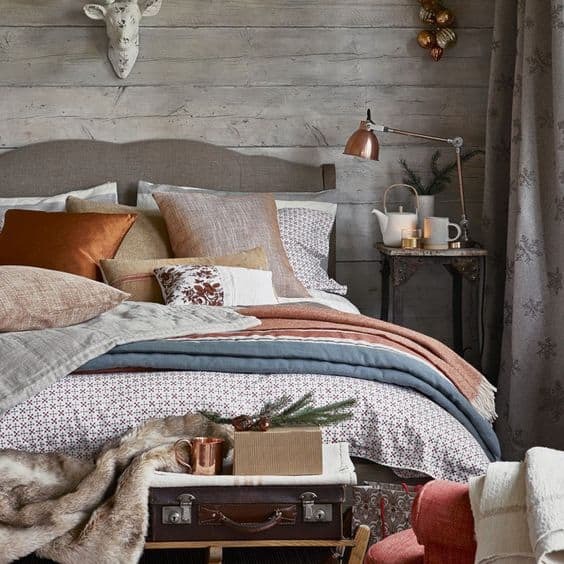 This year, the headboard trend is less statement making, and more simple. Designers suggest a low or small headboard, or no headboard at all. As a result, the wall behind the bed is the focus. This leaves the space open for canvas artwork, wall sculpture, shelving, or more. The possibilities are truly endless. Get creative with this trend, and make your “non-headboard” one of a kind. From large-scale watercolor brush strokes, to 1970’s acid wallpaper, 2018 has no shortage of interesting options for your bedroom walls. 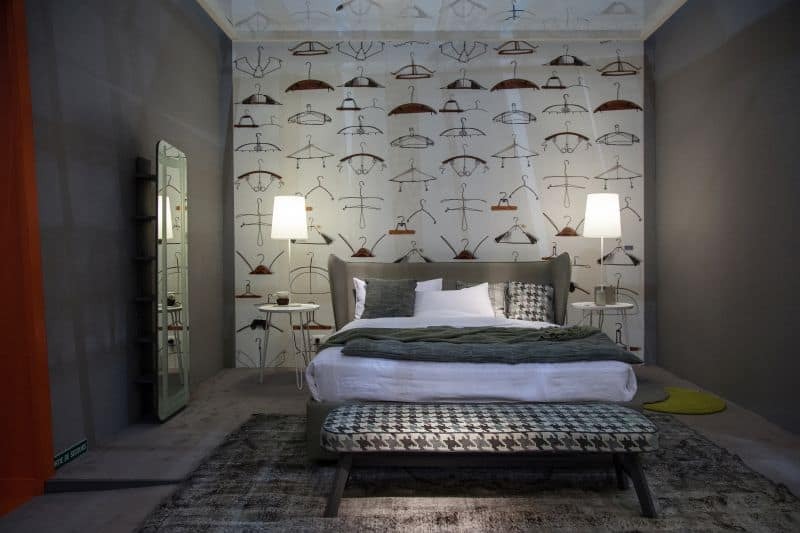 Combine your unique wallpaper choice with a bit of clean mid-century modern design to make your bedroom funky in all the right ways. Another way to spice up your walls is to put up some colorful artwork or photography. This is especially impactful when contrasting against a white, or light colored wall, and will create a bold statement without being too much for your eyes to endure. True for both grey and white this year, using varying shades of a single color to decorate your bedroom is a great way to achieve a simple & calming design without being too bland. Adding various textures to each different shade is another way to make sure this method remains unique. Try combining this trend with the textural layering tip to achieve and even more unique look. Texture has a strong impact on the depth of a space. Without it, decor would blend together, and appear stale and flat. This year, designers suggest layering several various textures. Woven decor, velvet, satin, and wood grain are all highly interesting textures which could be mixed and matched to your liking. Velvet, specifically, is on the rise. Try a velvet headboard, a chaise, curtains, or even just a few throw pillows to add a texturally interesting touch to your bedroom design. Using concrete in your bedroom might seem strange, but in many cases, the industrial undertone works great. Combine with wood and deep or contrasting colors to add another layer of interest to your decor. Again, artwork is also great in contrast with this trend as well. In addition, this trend goes very well with modern or retro furnishings and decor. Another design aspect that is of rising importance is overall sustainability. When possible, trying to find out not only the origin of your design materials, but also how they are manufactured and shipped. In addition, keeping sustainability on the forefront is not only good for the planet, but for you as well. 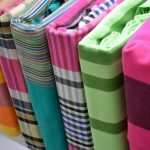 Many non-organic products, especially fabrics/textiles are treated with chemicals which can be harmful. That being said, making careful decisions on decor products is a crucial step in the process of designing any space. In conclusion, the top bedroom design trends for 2018 are wonderful, to say the least. All of these decor ideas have a strong focus on the foundation of a beautiful mess. 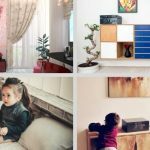 Additionally, most of these trends have a lovely tone of freshness that would improve health and well-being for the residents or visitors within the space. It is great to see the annual decor trends continue to move in this positive and healthy direction. One can’t help but wonder what will be in store for us next year!